I am so excited to partner with Smithfield to share my love for grilling through this recipe with you. While this post is sponsored, all thoughts and opinions are my own. There is nothing like getting outside and firing up the grill to cook a tasty meal. During the summer (and most of fall! ), we grill almost every night. Grilling offers a delicious meal with very little clean up. Plus, you get to enjoy being outside in the gorgeous weather as a bonus. 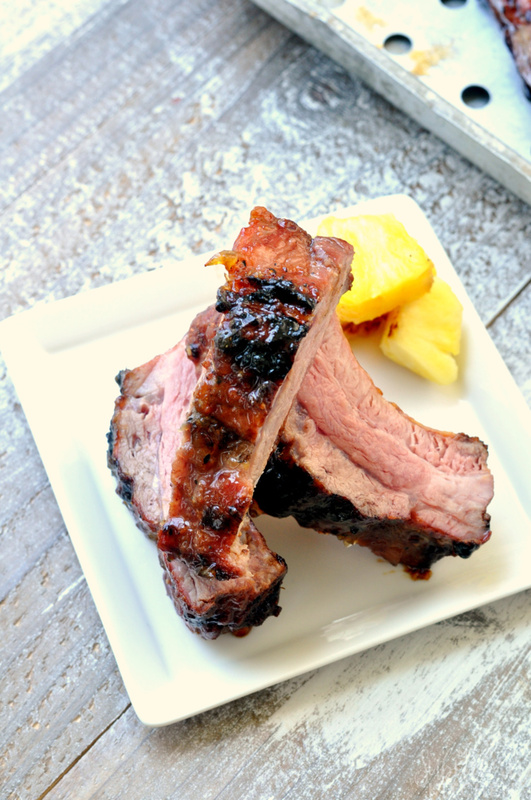 One of our favorite things to cook on the grill are pineapple lemongrass ribs. 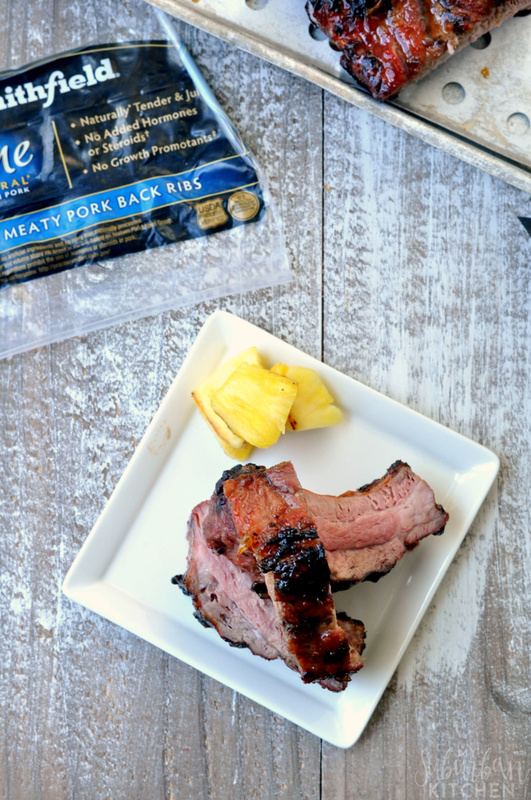 Smithfield Prime Fresh Pork is a line of all-natural, high-quality, hand-trimmed, premium fresh pork that is 20% more tender than other leading brands of non-enhanced all-natural pork. 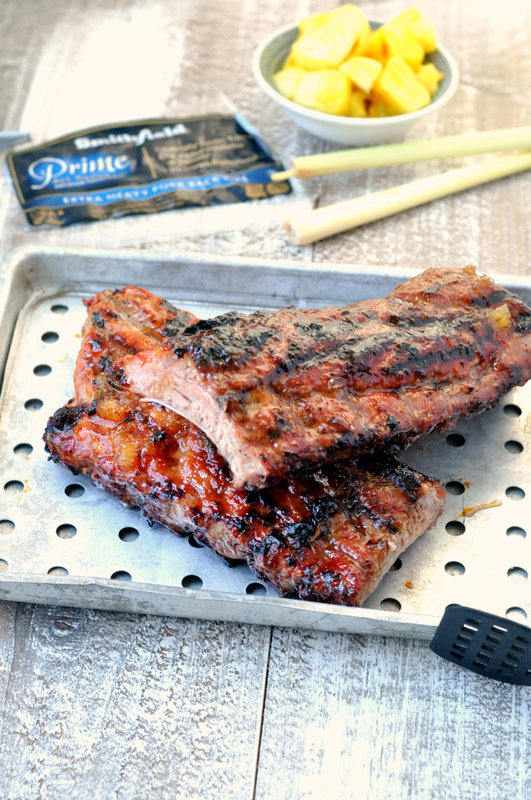 The Smithfield Prime Extra Meaty Fresh Pork Back Ribs are absolutely perfect for the grill and they cook quickly while staying tender and juicy. Plus, I love that there are no added hormones, steroids or growth promotants. 1. In a food processor, combine lemongrass, olive oil and garlic cloves. Process until a smooth paste forms. 2. In a small saucepan, combine preserves, pineapple juice and lemongrass paste. Bring to boil and then reduce heat. Simmer for 5 minutes. Remove from heat. 3. Heat grill to medium-high heat. Season ribs with salt and pepper. Brush preserve mixture onto both sides of ribs. Place on preheated grill and cook for 7 minutes. Turn over and cook for another 5 minutes. Brush with preserve mixture again and cook for another 5 minutes or until done. 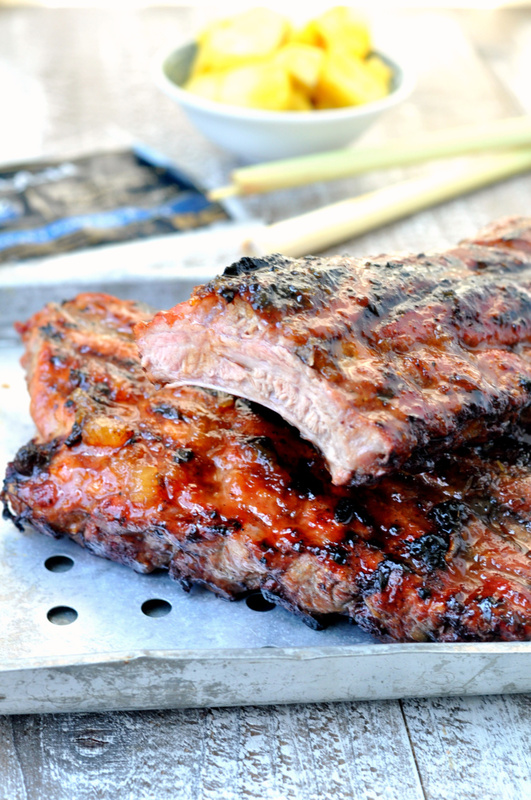 We usually enjoy our ribs with some jasmine rice and grilled vegetables on the side. They are so delicious though that you could easily eat them as a meal by themselves. 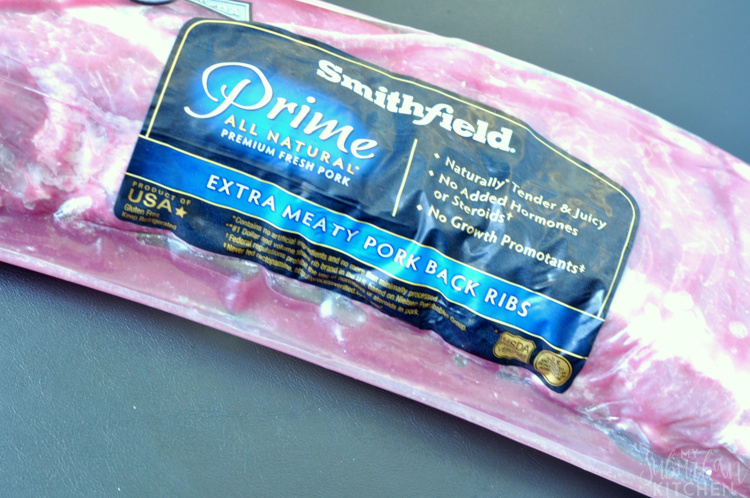 Smithfield Prime Fresh Pork comes in a wide variety of cuts, including: Tenderloins, Boneless Loins, Back Ribs, Spareribs, Chops, Shoulders/Butts, and Roasts. You can find it at Sam’s Club next time you are out shopping. They are all absolutely perfect for grilling to create quick, delicious meals for your family. Be sure to visit SmithfieldGetGrilling.com to get fresh pork grilling tips, tricks, and recipes from Smithfield pitmasters. You can also enter the “Get Grilling America” photo contest for a chance to win a grand prize of $5,000. Photos will be judged on the appearance/quality of the photo, how well it matches with the overall theme for the entry period, and popularity based on votes. Hundreds of prizes will be given out to those that submit photos and vote on photos so definitely be sure to participate for your chance to win. In a food processor, combine lemongrass, olive oil and garlic cloves. Process until a smooth paste forms. In a small saucepan, combine preserves, pineapple juice and lemongrass paste. Bring to boil and then reduce heat. Simmer for 5 minutes. Remove from heat. Heat grill to medium-high heat. Season ribs with salt and pepper. Brush preserve mixture onto both sides of ribs. Place on preheated grill and cook for 7 minutes. Turn over and cook for another 5 minutes. Brush with preserve mixture again and cook for another 5 minutes or until done.